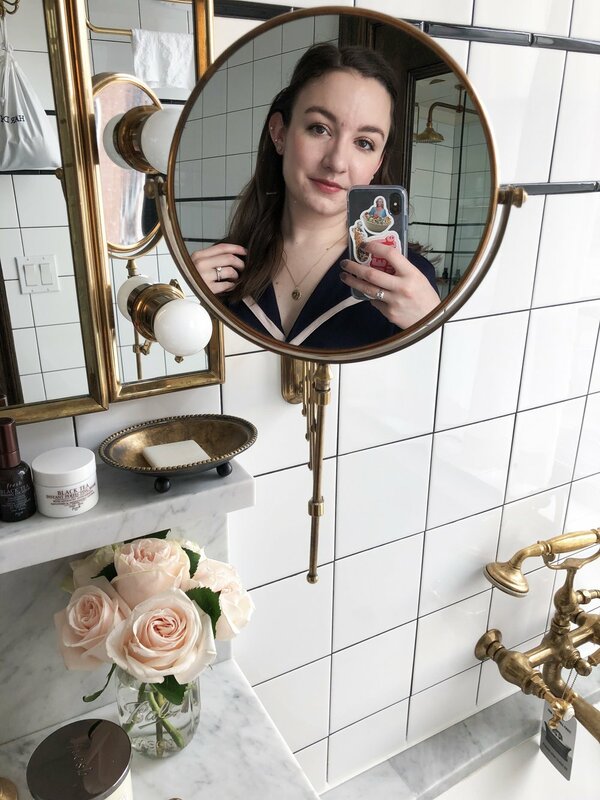 In May, I decided to do a complete overhaul of my skincare routine (or lack thereof) and start doing it the right way (inspiration struck after reading through most of Caroline Hirons's blog, of course). After almost three months of following her tips, my skin has improved so much. I still get the odd breakout, probably because I still could be eating better, but uneven texture and tone have been virtually banished. The product that I think has made the greatest difference in my skin is an acid-based exfoliating toner. After one week of using the Pixi Glow Tonic, all the blackheads I had on my nose and congestion had disappeared. The Pixi Glow Tonic is alcohol-free, so it doesn't dry out my very easily dehydrated skin. It contains glycolic acid to gently get rid of dead skin cells and leaves my skin clear and glowing. My other favorite skincare product that I've been using (I'm almost on my second bottle) is the First Aid Beauty Ultra Repair Cream. At the beginning of the summer, my skin was so dry and dehydrated that is was constantly red, patchy, and irritated. This is a very thick (but non-greasy) cream that I use every night, and by morning my skin is plumped and juicy. I think this product single-handedly solved my dehydration problem. I highly recommend it. What skincare bits have you been loving?